Welcome to the apartment in Dubrovnik. The apartment is situated in the old town surrounded by city walls, in the Zvijezdiceva street, one minute away from the main street Stradun- the center of all events. The apartment is a part of the old stone house that has been Sutalo family property since the 16th century. During your stay at our apartment you will experience a hundred-year-old tradition of the old town. 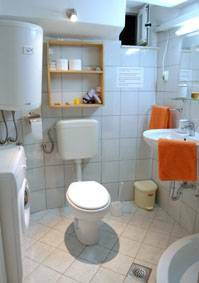 The apartment consists of a bathroom with a toilet, shower and a washing machine; a kitchen with a fridge, cooker, microwave oven and a coffee machine; a bedroom with two beds and a spare bed, wardrobe closet, air-conditioning and a TV set. 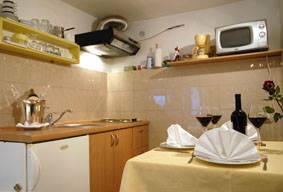 In the apartment you will also find all the necessary kitchen supplies, laundry and towels. Apartment is located in hart of Old town in Zvijezdiceva street 15. You can see it on picture. The closest beach Buza 1 (Cold drinks) is only 50 m from the apartment, and it happens to be one of the most romantic spots in the city. Another beach, Buza 2, is just 200 m away, and Banje, a long sandy beach with many facilities, is also a 10-minute-walk from the apartment. The nearest green market and grocer's are 100 m from the apartment. Banks, exchange offices, post offices, shops as well as the local bus station - they are all in a diametre of 200 m.
From1.5. to 1.7. the price is 70, from 1.7 to 1.9. the price is 80 , from 1.9 to 1.11. the price is 70 and other period is 60. The price for the third person is 10 euro higher per night. For one or two nights the price is 20% higher. For a stay longer than 7 days we organise a free transfer to the apartment and a welcome surprise. The price for the third person is 10 euro higher per night. For a stay longer than 7 days we organize a free transfer to the apartment and a welcome surprise. For one or two nights the price is 20% higher. In order to make a reservation, it is necessary to pay an advance of 20 to 30%. In case of cancelling the reservation we keep the advance, but it is usable for another reservation, till the end of the season at the latest. The advance is not necessary for last minute reservations. Apartment is located in the one of most beautiful street in Dubrovnik Zvijezdiceva 15. 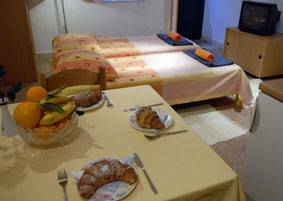 The position of our apartment will allow you to feel the real atmosphere of this Old City. We hold on ours guests on entrance in Old town. 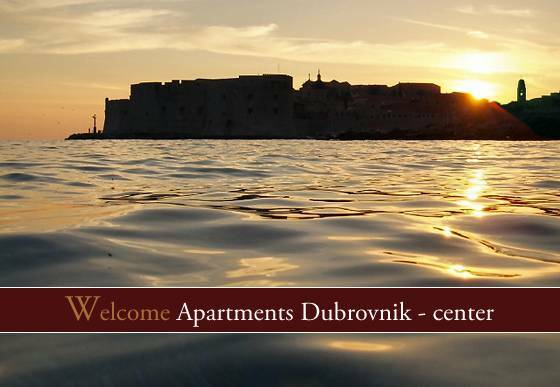 When you arrive in Dubrovnik we care about you 24 hour. We offer 24 hour transfer to apartment; from airport, main port, main bus station. We hold on ours guests and go together to apartment. If you come with car we will help you to find free parking place five minutes walking distance from Old town. Local bus station 150 meters, Airport 18 km, main port 8km.